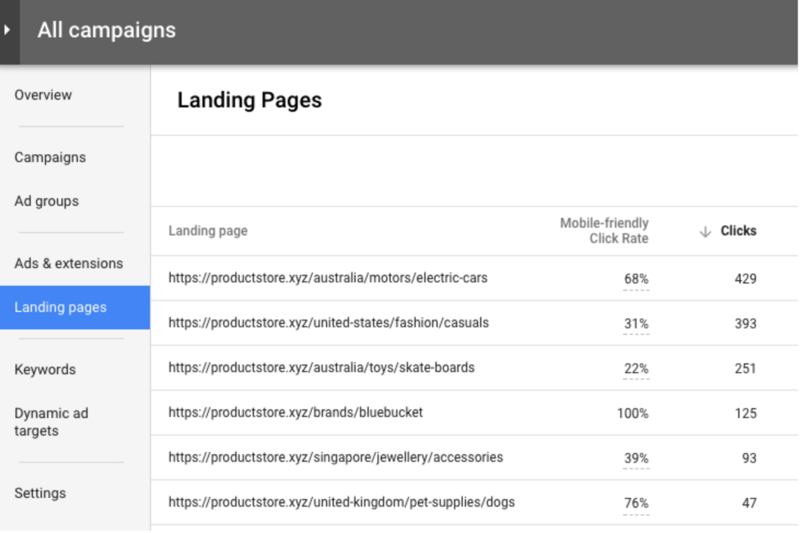 Google announced they have added a new Landing pages report that shows the mobile friendly click rate on those pages and the number of clicks. This report shows you which URLs in your account are mobile-friendly, which ones drive the most sales, and which ones may require your attention. Performance metrics such as clicks, cost, conversion rate, etc. The mobile click rate "metric gives you an idea of which landing pages result in the most or least mobile-friendly experiences. Sort the column in ascending order to identify pages you may want to fix," Google said. For more details on this see the Google help document. Forum discussion at Twitter and Google+.